Punk has a split personality. He can be overly sweet one minute, then the next you find him biting your hand off. OK kidding! But when God made him, He put way too much ‘hyper’ and ‘sweetness’ in a single cat. I mean, ginger males are already trouble but Punk is double the dose. He may scratch you but you’d easily forgive him once he gives you licks and massages. He is a gentle giant, a big cuddly bear, and he will act like a kitten forever. And so I’m looking specifically for an individual/family who doesn’t mind the occasional pain (any masochists out there?) but as an exchange, he will give you unending love and entertainment. He is very very sweet but not suitable in a family with young kids. He can be integrated with other cats but ideally an only cat. 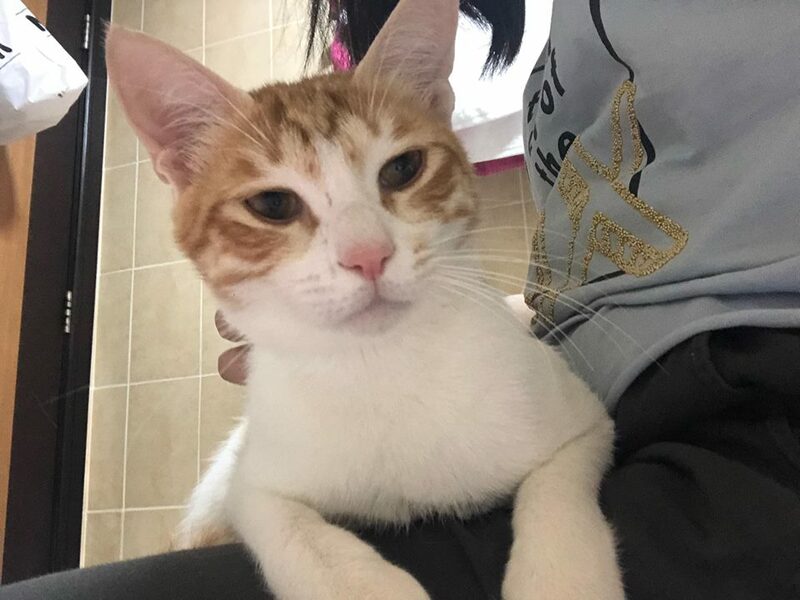 Punk is around 9 months old, Arabian mau, male, castrated, vaccinated.